10am to 4pm Admission Free! 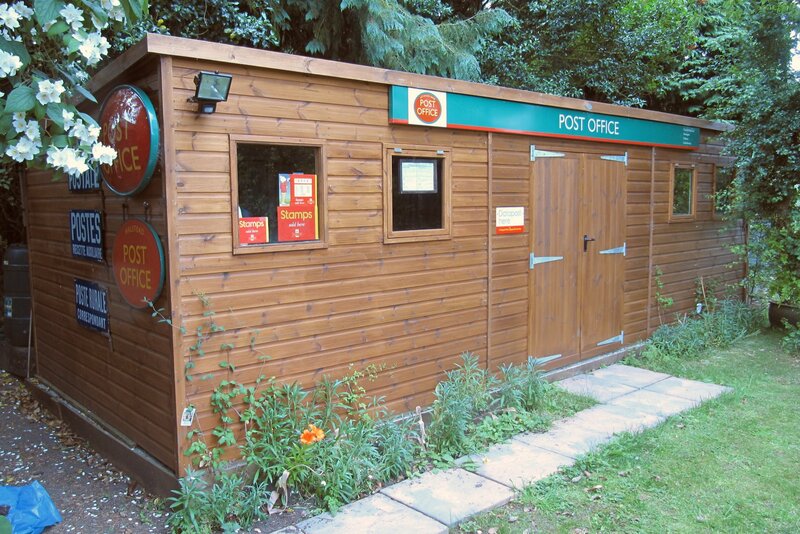 Winner "Best Cabin/Summerhouse" Category in "Shed of the Year"
A privately owned Postal History Museum in the heart of East Anglia. 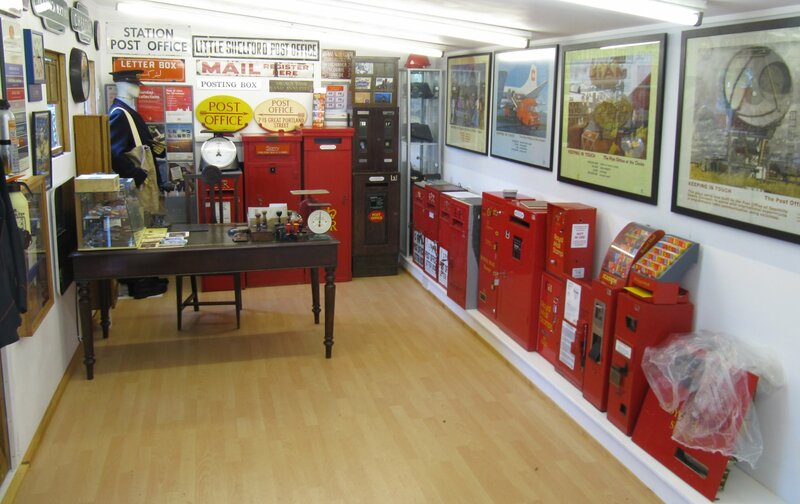 The collection has been built up over a number of years by one man and now comprises 135 ex-British Post Office letter boxes together with 25 Stamp Vending Machines, documents, uniforms and associated artifacts. The museum houses the second-largest private collection of Post Boxes in the UK and is an invaluable resource for teaching and historical research. In addition, the Museum is also home to the National AA Village Signs collection, comprising more than 50 of these iconic round village name signs from across the UK - the largest display of these anywhere. Regular public open days are held each year, but otherwise there is no general public access other than by prior arrangement with the Curator. Visitors are welcome by prior arrangement at any reasonable time. Contact us at the address above. Use the navigation menu at the top of this page to explore our collection, learn about the history of our boxes and see what the Museum has to offer. Shed 1: The covered accommodation seen here in 2006 provides secure dry storage for small artefacts, stamps documents and wooden post boxes. Outside you can see an array of Victorian wall boxes including a 2nd National Standard with Pedimented top. The blue covered thing is a telegraph pole, now erected and decorated. This has now been augmented by the purpose-built and much larger Shed 2! More AA village signs added to the site - now 100 showing! More Ludlows added to the Tour of Britain inc Eire! 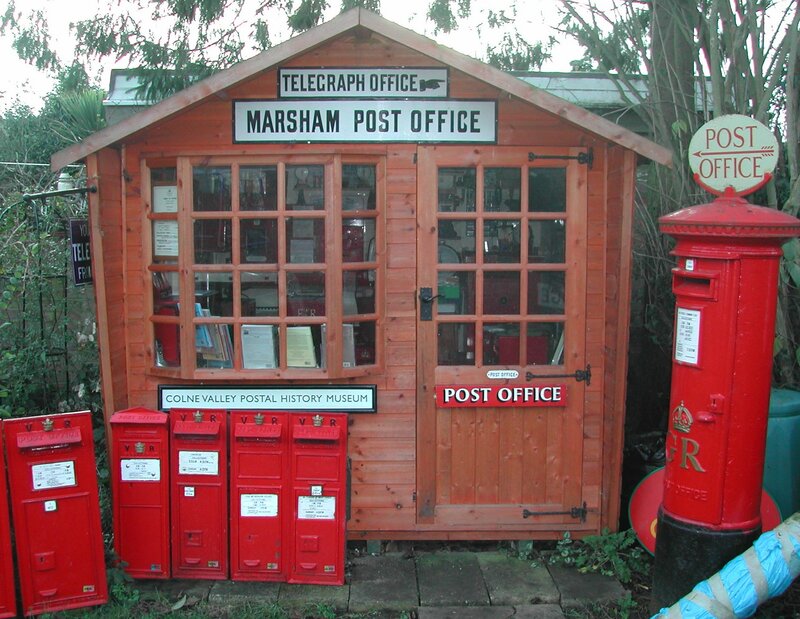 This is "Shed Too", the new 304 sq ft accommodation for our best exhibits, since this shot was taken, it's filled up with 35 post boxes and a model railway!